A little while ago I argued that, as a game, Wii Fit functions differently from most every other title out there. Although its empirical effectiveness at burning calories might be underwhelming, the game's real strength comes from its ability to extend itself beyond the digital realm. When I am in a Wii Fit groove, I keep playing the game even when I am away from the TV: every time I have to choose between an elevator or the stairs, an apple or a cookie, the game's rules are in play. 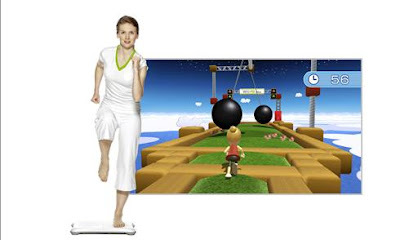 Because of its massive sales numbers, I was interested to see how Wii Fit Plus would expand on its attempt to make its gameplay part of your lifestyle. Much to my surprise, instead of continuing to challenge our definition of "game," Wii Fit Plus is very much about iterating on traditional game experiences. Happily, incorporating the Balance Board into well-known gameplay structures is both a great workout and a sign that the Balance Board can survive outside of the fitness/mini-game ghetto. Before I highlight the game's strength, I am compelled to note some of its baffling shortcomings. The original game's twelve yoga poses and twelve strength exercises can easily grow stale. I looked forward to host of new exercises, but only three new yoga poses and three additional strength poses have been added, making it easy to fall into a fitness rut. The original Wii Fit contained very sparse organizational and administrative options. With three levels of intensity for each exercise and no way of creating saved routines, the player wasted precious minutes paging through menus feeling the burn. Wii Fit Plus attempts to address this issue by bundling sets of complementary exercises that flow from one to the next without any interstitial menus. While the fact that these exercises target specific body regions and physical skills is convenient, there is no way to adjust their intensity levels. 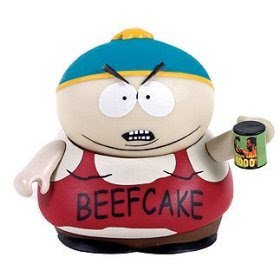 Being the awesome beefcake that I am, I am again stuck with choosing each exercise individually. 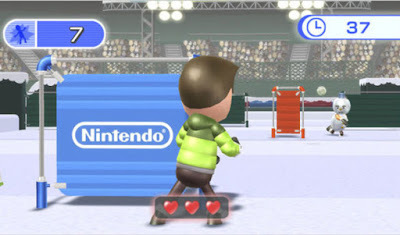 Another of Wii Fit Plus' highly-touted features was the ability to create a custom routine. For reasons that elude me, Nintendo made good on its boast of letting the player create "a" workout: Only one custom workout at a time can be stored on your profile. Adhering to a "Monday-Wednesday-Friday" routine means erasing your workout and rebuilding it for each day. Compounding this lazy design is the fact that only strength and yoga exercises can be used in the custom routines. The fitness games, the place where the real fun and calorie burning happen, are left out. Despite these drawbacks, Wii Fit Plus' new games have me enamored with the game. The addition of simple, yet meaningful motion control to games whose rules most gamers are already familiar with is an outstanding nod to the past and a great way of refreshing old concepts. For those who crave twitchy, multi-tasking challenges there is the "Tilt City" game. 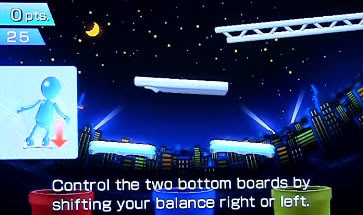 By using the Wii Remote and Balance Board to control flippers, the player rolls colored marbles into their corresponding pipes. While things start out simple, the game gets quite frantic as the marbles begin to roll out faster. Tilting the controller left while leaning right on the balance board to simultaneously role two marbles in opposite directions takes mental focus and physical dexterity. The whole thing feels a bit like trying to pat your stomach and rub your head simultaneously. As Jorge and I have discussed, cover mechanics are all the rage these days. Wii Fit Plus jumps on the bandwagon with its Snowball Fight game. By leaning to either side, you can peek out from behind a barricade to take shots at your opponents as they run between cover. Ducking out one side to draw enemy fire and then popping round the other to pick them off are dynamics I rarely associate with Nintendo games, but they make an excellent showing here. This could easily be a way to make light-gun-style games more interactive. I find myself hoping that the next Gears of War game is Balance Board-compatible. Long time readers know my soft spot for Mario. After playing "Obstacle Course," I have a whole new admiration for everyone's favorite plumber. Trying to keep track of moving platforms, icy ground, and deadly projectiles is difficult to do with a controller. By making you physically responsible for the running and jumping, the sweat from nervousness and exertion is combined into one hilariously rewarding activity. Now I know why Mario looks so happy when he reaches the end of a level! That Nintendo seems to have neglected the straightforward exercise portion of Wii Fit Plus suggests to me that the attempt to get people excited about traditional exercises has failed. Perhaps stretching and push-ups were not engaging enough to prevent the Balance Board from joining other abandoned New Year's resolutions in the back of the closet. 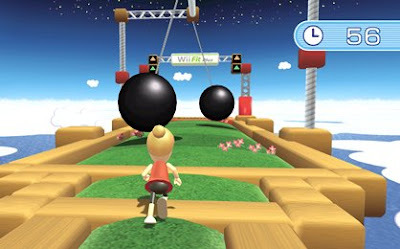 Whatever the case may be, with Wii Fit Plus, Nintendo returns to what it does best: creating innovative games that draw from and experiment with established gaming traditions. In doing so, Nintendo succeeds in keeping both the player and medium from growing sluggish.